When it comes to the ambiance, decor and interior design of your home, much is based upon personal preference. The same can be said about the temperature of your rooms, the quality of your air and the comfort of your home. It would be quite difficult to land on one exact recommendation for average home temperature during the winter months, as peoples' body temperatures and heating preferences may be quite different. Furthermore, given the varying weather conditions and climates across the nation, there is no one-size fits all approach to finding the right temperature for your home. However, there are recommendations for office buildings as well as home heating and cooling when it comes to saving money. Heating and cooling office buildings filled with hundreds of people with different temperature preferences is a prime example of why it's so difficult to find a setting that's comfortable for all people. You could ask several different people from the same company about the comfort of their office and some would tell you that they're are constantly cold during the work day, some will tell you that they are always way too warm, and still others would say that they are perfectly content. The U.S. Department of Labor advised that office temperatures be kept somewhere in the middle of 68 and 76 degrees, with humidity range between 20 and 60 percent. Finding the ideal indoor temperature during the winter isn't always easy. There are a number of home heating options including a furnace, a boiler, a heat pump, electric heating and active solar heating. The guidelines for each heating system may differ widely and it is best to contact your service to find the best temperature for your experience. If you're looking to save money this winter, the U.S. Department of Energy recommended setting the thermostat in your home to 68 degrees during the day and even lower while you are away or sleeping. If you set your thermostat back for a period of eight hours a day, for each degree that you do, you can save 1 percent. 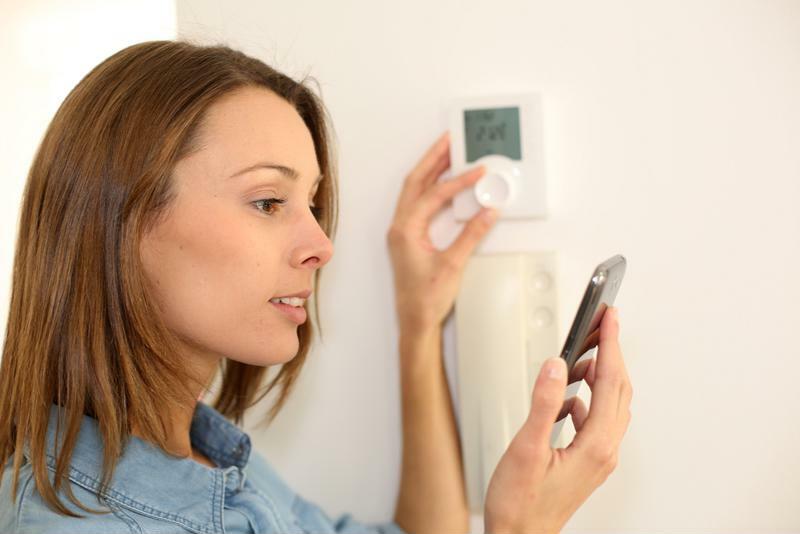 Therefore, if you lower your thermostat by as much as 10 degrees for at least 8 hours a day, you can save up to 10 percent on your annual bill. But did you know that humidity levels also play a large role in the air and comfort levels of your home? In addition to heat settings, effectively managing the humidity in your home can also help aid in reaching an ideal comfort level for all members of the family. Try a warm mist humidifier to make the air more comfortable in your home after you've turned down the heat. Humidifiers and dehumidifiers are made to help you feel cool in the warmer summer months and warm in the colder winter months. Adding moisture to cold and dry winter air is essential for comfort. The ideal settings for indoor humidity levels during this time of year are between 30 and 40 percent.